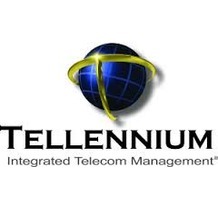 Tellennium is a telecommunications management firm headquartered in Louisville, Kentucky. The company delivers significant time and money savings through telecom service cost recovery, payables management, circuit and device management as well as ongoing operational systems consultation. Tellennium’s software and reporting provide real-time IT inventories information and usage and cost data for improved processes to make informed and timely decisions in complex dynamic environments.